Remove deep drawing oils by simply rinsing. 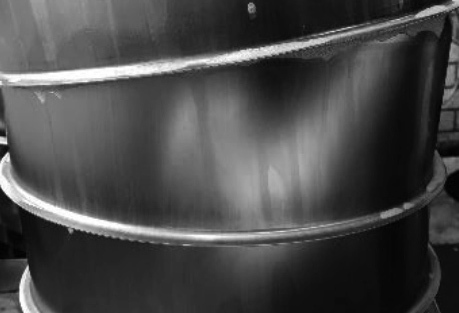 Highly viscous and strongly adhering deep drawing oils are frequently used when shaping stainless steel sheets. Their task is to reduce the friction and, thus, the tool wear and to prevent the sheet from cracking during the punching process. The deep drawing oils are evenly applied in thin layers using rollers or by spraying. The remains of the film must then be removed from the moulded part, depending on how it will be processed. Strict requirements in regards to the quality of the workmanship and the cleanliness of the products supplied must be complied with when manufacturing medical and laboratory equipment. 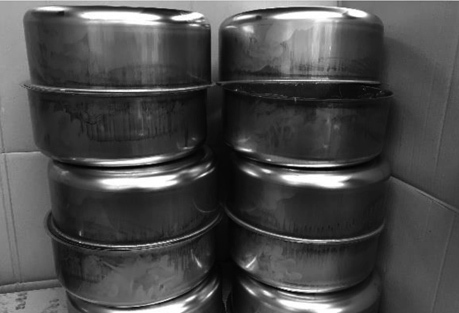 However, residue-free removal of production additives, such as deep-drawing oils as with this case, is time consuming and constitutes a relevant cost factor in the production process. The challenge was to significantly reduce the time required for this cleaning without compromising the cleaning result. The components have been manually pre-cleaned in the company up to now followed by a final mechanical cleaning step. Converting to a fully automated process did not provide a satisfactory result. 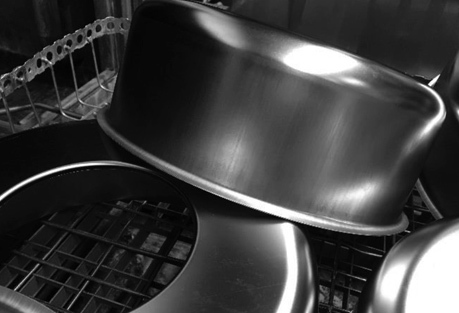 The wash process was then analysed in the Caramba Technical Department. Two factors impacted the cleaning result. Firstly, the standard cleaning agent used on the system by the customer could not be atomised finely enough. Secondly, spray shadows appeared in various places due to the arrangement and distance of the atomizing nozzles, which impacted the cleaning result. Caramba recommended switching to the I-Line SD-10 cleaner, which has already achieved good results on the existing system. Since the system is not optimally designed for cleaning these components, Caramba suggested building an optimised system that eliminates the need for manual pre-cleaning of the components. Wherever the cleaning agent came into contact with contaminated parts, the Caramba I-Line SD-10 cleaner removed the oil and graphite contamination within 180 seconds. Thus, a considerable time saving was achieved in the removal of deep drawing oils. Based on these results, the customer commissioned the construction of a parts cleaning system at ITR-Anlagenbau, one of Caramba’s cooperation partners. 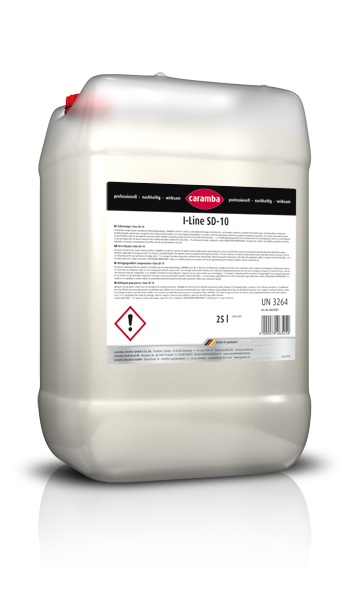 Caramba I-Line SD-10 is for removal of light oils, grease and particulate contamination. Its particularly low-foaming surfactant combination ensures problem-free use in spray procedures. Caramba I-Line SD-10 includes special demulsifiers to prolong the service life of the cleaning bath. Due to the weakly acidic pH value, components made of aluminium and non-ferrous metals are brightened by gentle removal of the oxide layer.